One might consider this a British "Death Wish". Michael Caine plays the title character. 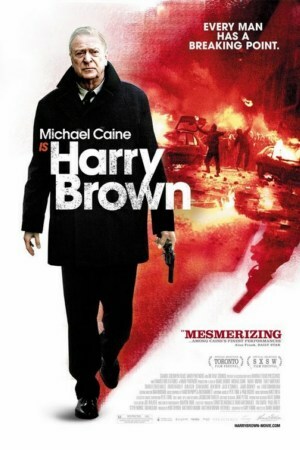 I recognized some of the other actors/actresses but this is Caine's movie. It could have just as easily been a good movie about the inevitability of death and how we deal with increasing infirmity. I don't know that that movie would have gained the interest this film did. Brown is a Royal Marines pensioner who lives with his wife in what looks like the UK version of US projects. They call them "estates" or "council estates". Brown's wife dies as the movie opens. Len, Brown's chess/drinking partner and his only living friend, is frightened of the young punks who infest the estate. The police won't help Len. Len comes to Brown for assistance. Len thinks that a Royal Marine who served in Northern Ireland might have some ideas but Brown is numb with grief over his wife’s death and just wants to be left alone. Of course Len meets with a nasty end and the police may not be able to catch and/or convict those who did it. At that point, Brown decides enough is enough and we see that a Retired Bada$$ is still a bada$$. Caine looked and acted every minute of his 77 years. The movie was much the better for that. At various times he's dealing with back problems, shock or breathing issues. His enemies are some of the worst and most wicked teens ever depicted on screen. It is rather manipulative filmmaking perhaps but very entertaining. 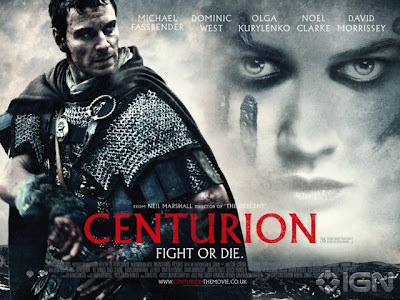 Centurion is a well made but emotionally empty historical drama about the Roman Ninth Legion that disappeared in 2nd century Scotland: Pict country. Obvious parallels can be drawn with Afghanistan. The Picts rarely stand and fight but rely on hit and run guerrilla tactics, assassinations, and nighttime raids. Roman Centurion Quintus Dias was captured by the Picts but he escapes. He hooks up with the Ninth Legion. The Legion Commander, General Virulus, has received orders to take the offensive and permanently end the Pict threat. The general is guided across the terrain by a beautiful, sinister and mute Pict woman, Etain. The Roman plan fails spectacularly. Dias and a few desperate and disparate paltry survivors of the shattered Legion (native Romans, Franks, Nubians, Numidians, Syrians, etc) have to make their way south while pursued by a singularly deadly incarnation of Pictish (and female) vengeance. This film was reminiscent of the movie The Warriors, which was of course itself based on classical sources. This was shot on location in Scotland which gave a really beautiful backdrop for the movie. The hills, moors, valleys and rivers were magnificent. If nothing else this was a great advertisement to visit. Kurylenko was evidently a Bond girl in Quantum of Solace but I don't remember her. She made much more of an impression here. Fassbender was in 300 and Inglorious Basterds. There was a (deliberate??) reference to Inglorious Basterds where people hide under flooring from someone who would very much like to see them bleed. The battle scenes are not like 300. They are shot more quickly and would look more natural were it not for the digitized blood. If you like chase movies or historical films, you'll enjoy this. If swords and battle films bore you, pass over this one. Like most good chase movies the film has a Tired of Running scene that works quite effectively. This film is based on a Jim Thompson noir novel (aside- which I couldn't find at my local book store and then they wonder why more people are just ordering books online) and is set in early fifties Texas. Michael Winterbottom directed. The movie uses voiceover to give us the protagonist's perspective. As the protagonist is an extremely depraved sociopathic deputy sheriff (played by a very young looking Casey Affleck) with a taste for hurting people his POV can be repulsive. There really is no one to root for in this film which presumably was the point. Jessica Alba plays a prostitute that the local bigshot (Ned Beatty) would like to have run out of town for personal and business reasons. This job comes down to Affleck. He doesn't do as he's told and force her to leave but decides to use her in a complex long awaited revenge plot against Beatty and company (after engaging in a sadistic sexual relationship with her). Of course blood calls for blood and the Affleck character does more acts of murder and evil in order to stay one step ahead of his increasingly suspicious bosses and a one man Greek chorus of recrimination-Elias Koteas. This movie was heavily criticized for misogyny. Affleck's character is evil through and through and doesn't really discriminate in who he harms. I think most viewers regardless of their political or social views are still somewhat taken aback by depicted violence committed against women even as we are neutral or dismissive against fictional harm done against men. If you do not like filmic violence of any kind or really can't tolerate seeing actresses suffer extended realistic looking violence THIS IS NOT IN ANY WAY the film for you. Do not see it. Initially I thought Affleck was miscast as a Texas deputy sheriff but his slight frame and baby face juxtaposed to what he was doing gives the movie a dissonance that the director may have wanted. I thought on a purely visual level Winterbottom did a good job of capturing what life was like in big empty spaces with heat, lots of dust, not much to do and no air conditioning. In addition to Affleck, Alba, Koteas and Beatty this film also stars Kate Hudson, Simon Baker, Bill Pullman and Tom Bower. With the possible exception of Beatty and Hudson I don't think anyone really tried to pull off a Texas accent. A would be winner (Paul Rudd) is offered the chance to rise in his corporation by humiliating a hapless loser (Steve Carrell). Three's Company inspired hijinks ensue. These include misunderstandings, switched phones and only hearing the endings of conversations. It’s a pretty silly movie all around and probably only worthwhile if you have absolutely nothing better to do. Of course there is a happy ending. For some reason many films purport to teach us that money and success don't really matter in life. It’s funny how the people in real life that actually HAVE lots of money and success don’t seem to heed that lesson. Supernatural is about two brothers Dean Winchester ( Jensen Ackles ) and Sam Winchester (Jared Padalecki) who have become estranged and have taken different paths in life. The younger brother Sam, is in college for pre-law. The older brother Dean works with their father (Jeffrey Dean Morgan) in an initially undisclosed business. One night Dean shows up uninvited in Sam’s campus apartment, frightening Sam and leering at Sam’s girlfriend. Sam wants nothing to do with his brother and is about to force him to leave until Dean tells Sam “Dad’s gone on a hunting trip. And he hasn’t come back”. At that Sam tells his girlfriend goodbye and joins his brother. As it turns out the Winchester brothers and their father, John, are modern day exorcists and supernatural experts. This all started long ago when John’s wife Mary (Sam’s and Dean’s mother) was killed in an unexplained paranormal fire (shown in flashback). Since that time John became a believer in the supernatural . He began investigating bizarre activities and strange deaths across the US. When he found something supernatural he destroyed it or banished it. While Dean was the dutiful son helping his father in these quests, the younger and rebellious Sam had no use for this lifestyle. He deeply resented his father for (as he saw it) stealing his childhood. He’s only going to help one time and after that he intends to go back to school and his girlfriend. Obviously things don’t work out like that. After the brothers solve a ghost sighting where their father was last seen, Sam insists that Dean drive him back to his apartment. However upon arrival Sam watches in horror as his girlfriend is killed by an unseen demon in exactly the same way his mother was two decades ago. With nothing left to tie him to college, Sam joins his brother in an epic quest across America to find their father, destroy all supernatural beings and pick up babes. Actually the true star of this show is the Winchester boys’ 1967 black Chevy Impala-loaned to them by their missing father. US companies truly do not make cars like that any more and it’s a shame. Anyway this is an enjoyable show, if somewhat reminiscent of the Friday the 13th series. Much of the interplay among the Winchesters rings true to life with anyone who has/had occasionally annoying siblings or demanding parents. Dean is a typical older brother bossy know-it-all while Sam is often Mr. Sensitive unless he's in an argument with his (as he sees it) single-minded relatives. But even though the brothers irritate each other, when the chips are down they can count on one another. There's a few comedic elements. 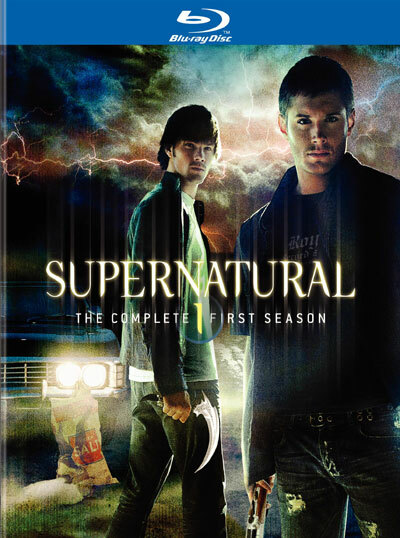 The series soundtrack judiciously uses rock classics from the late sixties and seventies to bookend episode intros and endings and comment on the storyline.